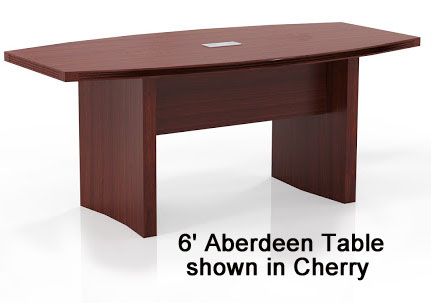 Aberdeen Conference Tables - IN STOCK! FREE SHIPPING! You want your work environment to represent success, sophistication and style throughout. 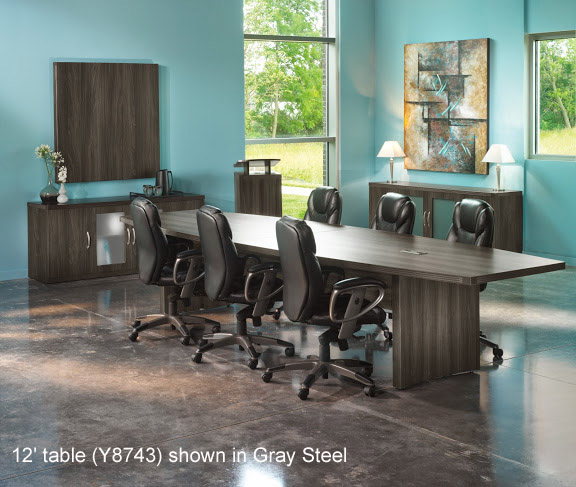 Aberdeen's complete line of conference tables and accessories will help you do just that. 6' Boat Shaped Conference Table sold above. 6' Table includes one centered grommet. Other sizes available below. * Tough laminate surfaces keep these tables looking new even after years of rough use. * Four, attractive laminates available! * 1-5/8" thick table tops with fluted, t-mold edges. 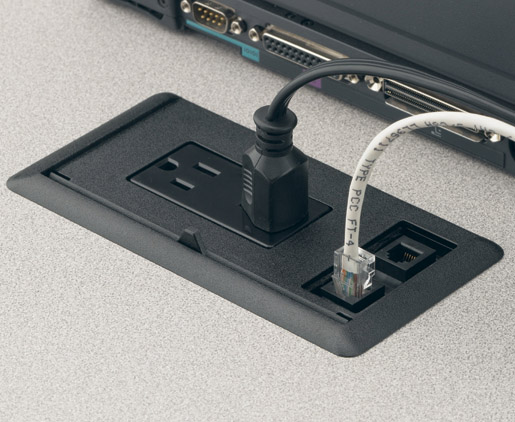 * Rectangular grommets in table tops accept Y7187 power/data modules (optional, sold below). Power modules include power outlets, a phone jack and data jack. * Conference table legs have cable chimneys for concealed cable management from surface to floor. * 6' and 8' tables are one-piece table tops. 10' & 12' are two-piece table tops. 18' table is a three-piece table top. * Ships unassembled in multiple cartons. Measures 72"W x 36"D x 29-1/2"H overall. Shpg. wt. 233 lbs. PRICE INCLUDES SHIPPING! (Truck shipment - See Terms & Conditions). Please allow 1 week for delivery. 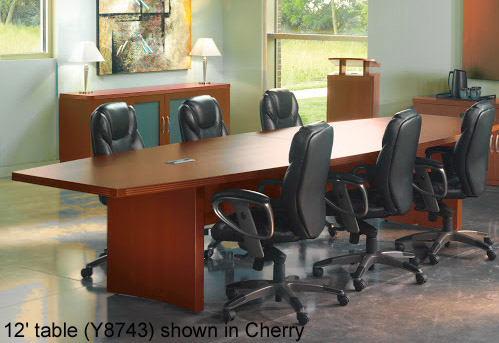 8' Aberdeen Boat Shaped Conference Table features a scratch resistant laminate finish with fluted, t-mold table edges. 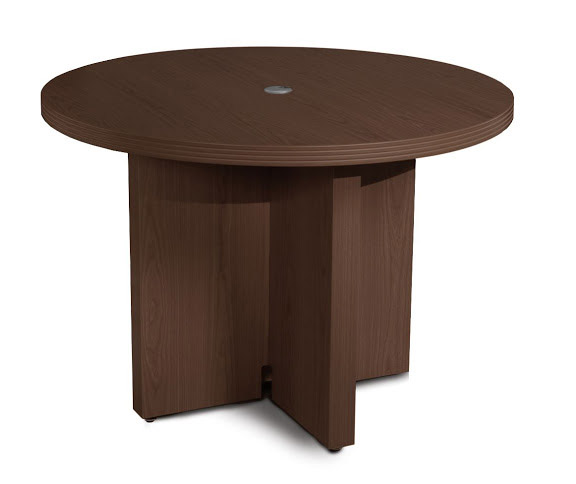 One-piece table top is 1-5/8� thick and includes two rectangular grommets, that also fit optional Y7187 Power Module. Table bases feature cable chimneys for routing of cords. Seats up to 8 people maximum. Measures 96"W x 48"D x 29-1/2"H overall. Shpg. wt. 344 lbs. PRICE INCLUDES SHIPPING! (Truck shipment - See Terms & Conditions). 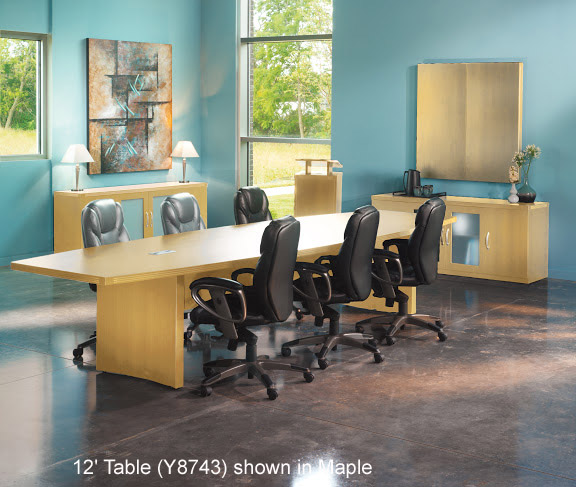 10' Aberdeen Boat Shaped Conference Table features a scratch resistant laminate finish with fluted, t-mold table edges. 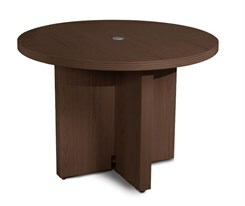 Two-piece table top is 1-5/8" thick and includes two rectangular grommets, that also fit optional Y7187 Power Module. Table bases feature cable chimneys for routing of cords. Seats up to 10 people maximum. 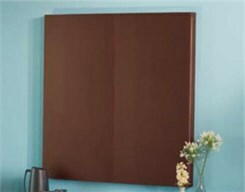 Measures 120"W x 48"D x 29-1/2"H overall. Shpg. wt. 416 lbs. PRICE INCLUDES SHIPPING! (Truck shipment - See Terms & Conditions). 12' Aberdeen Boat Shaped Conference Table features a scratch resistant laminate finish with fluted, t-mold table edges. Two-piece table top is 1-5/8" thick and includes two rectangular grommets, that also fit optional No. Y7187 Power Module. Table bases feature cable chimneys for routing of cords. Seats up to 12 people maximum. Measures 144"W x 48"D x 29-1/2"H overall. Shpg. wt. 500 lbs. PRICE INCLUDES SHIPPING! (Truck shipment - See Terms & Conditions). 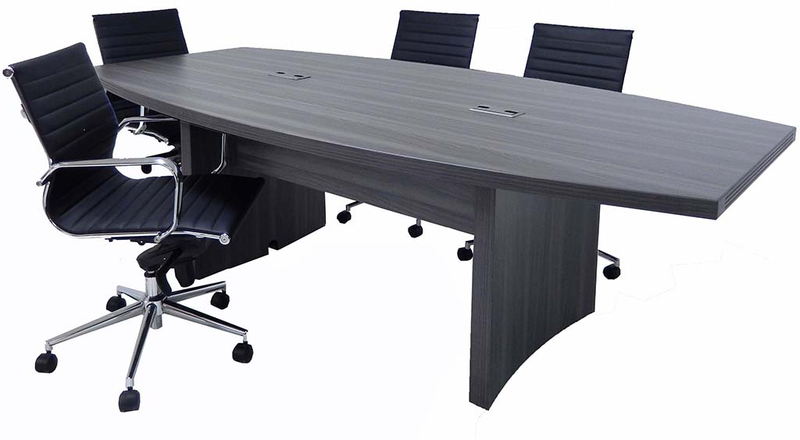 18' Aberdeen Boat Shaped Conference Table features a scratch resistant laminate finish with fluted, t-mold table edges. Three-piece table top is 1-5/8" thick and includes three rectangular grommets, that also fit optional Y7187 Power Module. Three table bases feature cable chimneys for routing of cords. Seats up to 18 people maximum. Measures 216"W x 48"D x 29-1/2"H overall. Shpg. wt. 650 lbs. PRICE INCLUDES SHIPPING! (Truck shipment - See Terms & Conditions). Optional Power Module fits into grommet ports. Includes 2 electrical outlets with 6' cord, one RJ11 phone jack and one RJ45 data jack. Includes cover to close module when not in use. PRICE INCLUDES SHIPPING! 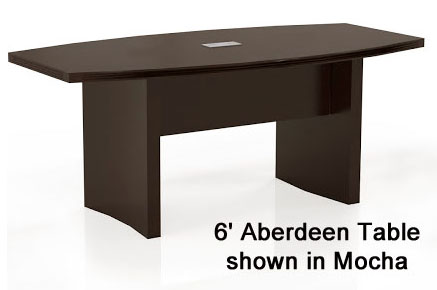 42" Round Aberdeen Conference Table features a scratch resistant laminate finish with a fluted, t-mold table edge. Includes a round, centered grommet. X-base allows for maximum legspace. Seats up to 3 people. Measures 42" Dia x 29-1/2"H overall. Shpg. wt. 105 lbs. PRICE INCLUDES SHIPPING! (Truck shipment - See Terms & Conditions). * One shelf adjustable on 32mm increments. * Shelf contains corner mouse hole for vertical cable management. * Mouse hole in back panel for wall access. * Curved metal pulls with brushed nickel finish. Measures 72"W x 18"D x 29-1/2"H overall. Shpg. wt. 173 lbs. PRICE INCLUDES SHIPPING! (Truck shipment - See Terms & Conditions). Features a melamine white board inside. White board can also be used as a projection screen. Marker trough and fabric tackboard on inside of doors included. Ships assembled! Measures 48"W x 2-3/8"D x 48"H overall. Shpg. wt. 80 lbs. PRICE INCLUDES SHIPPING! 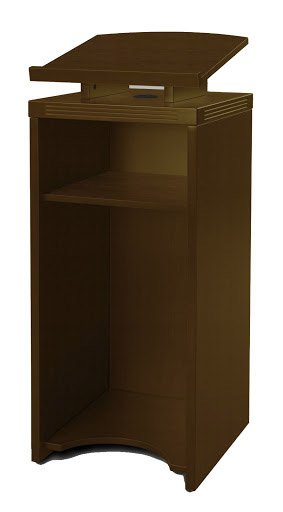 Aberdeen Lectern provides a tilted reading surface for speakers and presenters. Includes four concealed casters for quick roll-away. Lower portion of lectern includes one fixed, storage shelf. Top surface includes a round grommet for cord routing. Measures 18"W x 18"D x 44"H. Shpg. wt. 78 lbs. PRICE INCLUDES SHIPPING! (Truck shipment - See Terms & Conditions).